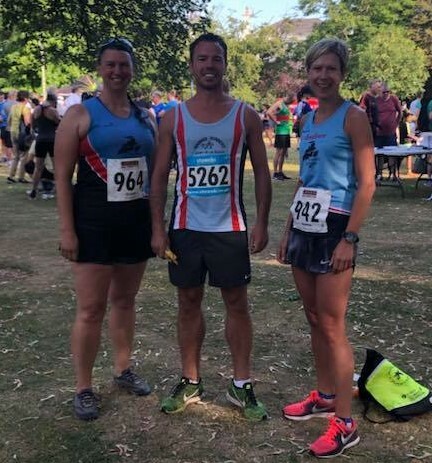 In temperatures reaching 27 degrees on July 1st, it was another tough weekend of racing in the heat for Ivanhoe's runners. 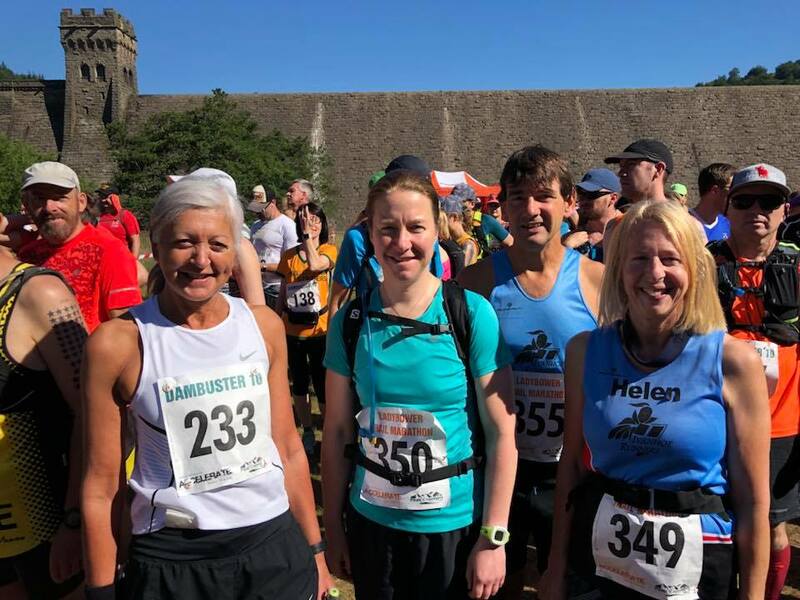 Andy Lindley, Helen Finn and Julie Taylor took on the marathon distance at the Ladybower trail marathon, a scenic and hilly route comprising of a lap and a half of the Derwent reservoirs. Dawn Pearson also ran the 10 mile event. Meanwhile another 3 Ivanhoe runners took on the inaugural Leamington half marathon. Described as a beautiful route around the villages with a couple of hills, with organisers taking precautions in the hot weather by including extra drinks stations, and with help from the local fire service by sprinkling the runners. After a delayed start James Cox came in 82nd position with his time of 1:34:01, while Andrea Tricket clocked 1:57:41. Grania Towle finished in 2:28:06. Continuing their Irish tour, it was the Knockanore 4 mile race for super veterans Andy and Sally Jeyes on June 28th. Over a very hilly course, Andy clocked 30:07, and Sally finished in 38:30. The following Saturday, after warming up at the Ballincollig Parkrun in the morning, the Buff 5 mile evening race was next on the agenda for team Jeyes. Andy won his age category with a swift 35:52, and Sally clocked an impressive 46:47.